The CDOT avalanche work is complete with minimal activity on The Professor. The highway should be open any minute. This should be a near normal opening. One exception might be the Early Riser Lot. 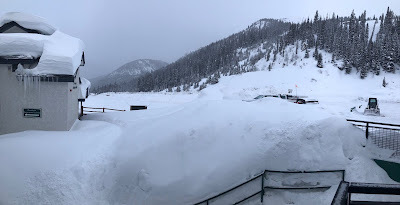 We kept the plow drivers out of there until the avalanche work was complete. At this moment it is closed and being plowed. The first arrivals may be parking in the High Noon Lot. We are in for another fine ski day.